Haven’t We All Done Steroids, In A Way? You see, no human being is perfect. That is not to say we are not capable of acts of great virtue, but at the end of the day, I think you would be hard-pressed to find someone who hasn’t succumbed to the perfectly natural urge to trick their colleagues and the entire world into thinking they won seven Tour de France titles honestly. Surely at some point in our lives, all of us have lied to the U.S. Anti-Doping Agency about our repeated use of illicit drugs. Surely we are not so hypocritical as to deny that much. As people, we are united by our shared experiences. We all live, breathe, fall in love, take steroids, lie to anti-doping officials, make indignant public denials about steroids, cry, achieve dizzying levels of fame and success by continuing to use steroids, laugh. Deep down, that is how we are, and we’re stuck with it. I used steroids. You used steroids. Your friends and coworkers used steroids. Your children have all used steroids. President Obama has used steroids. Show me someone who claims they haven’t used steroids, and I will show you a liar. So yes, I am a fallible person who has injected special substances into my body in pursuit of professional glory. 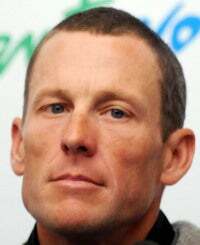 Just like you, I abused the drugs cortisone, testosterone, and EPO, among many, many others, in order to win an unprecedented number of international bicycle races. Just like your parents and their parents before them, my shameless deception helped me become one of the most celebrated athletes in the world. But does that mean I should be humiliated, made a pariah, treated as a criminal? No. It merely means that I am a human being. A human being with a real, living, beating heart. A heart that circulates an unnatural, chemically stimulated number of red blood cells through my veins in order to achieve superhuman levels of stamina. Just like yours.